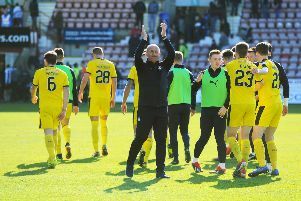 Falkirk needs real change, no more deck chair shuffling, no more papering over of cracks, change to take the club forward. The majority shareholders (MSG) have been in situ for the best part of 20 years. You can argue, with some justification, the club is now worse off than 1998. Gone is the togetherness of then and today has division, mistrust and lack of clear direction. We are in a stadium, like Brockville, unable to generate revenue outside match days, (and costing us considerably more) with us now second bottom of the same league as we were in then. The club has a new CEO and chairman. They rightly need time to bed in and bring their ideas to the table. The fear amongst the fans however is with the same old guard controlling the finance fundamentally nothing will change. In my opinion, it is time the MSG looked to move on as they have failed to take the club forward in two decades. They can thank their lucky stars the Falkirk support has been so patient. The Deans were hounded out when the team were absolutely great to watch. The Allans and the Hardies before them despite being respected local business people also got nowhere near the easy ride the class of 98 have had. That patience is, at best, running thin. They need to deliver, and quickly. Views expressed in ‘On The Wing’ columns are those of the author and do not neccessarily reflect those of The Falkirk Herald or Johnston Press.